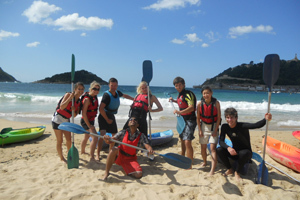 We want our students to enjoy their time in Spain/Latin America as well as learn Spanish. For this reason our schools in Spain and Latin America organise an extensive cultural programme, enabling students to find out more about the culture of the country they are visiting as well as at the same time providing them with extra opportunities to meet locals and practise their Spanish. The precise contents of the cultural programme varies, depending on the location. Some activities are provided free-of-charge. Others are optional extras, for which students can pay directly to our schools, after their arrival, if they wish to participate in a particular excursion or activity. All the cultural activities provide students with the opportunity to practise out-of-class the Spanish that they learn in class. 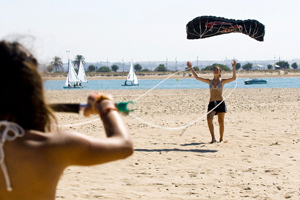 For full details of which activities are included and which are optional extras, you can visit the prices page of the location in which you are interested. At the bottom of each table you will find 'Included in course fees' and 'Optional extras', detailing precisely which activities are offered and which are included in the course fees. Included in course fees: 8 evening 'conferencias' (presentations by teachers using slides/video/discussion) per week on Spanish Art, Literature, Economy, History, the regions of Spain (6-8pm Monday - Thursday). Free guided tour of Salamanca/Granada/Seville, 4 Spanish film afternoons in the school, 3 'sports afternoons', 1 evening out with teachers per week. 'Intercambios' (conversation exchanges) also arranged with local Spanish students. Optional extras: Full-day excursions each weekend to Avila, Valladolid, Zamora, Toledo (from Salamanca), to Ronda, Seville, the Sierra Nevada, Cordoba (from Granada), to El Puerto de Santa Maria and Cadiz, Cordoba etc (from Seville). Two three day excursions once a month to Granada, Madrid, Seville, Lisbon (from Salamanca) to Salamanca, Madrid, Valencia (from Granada) to Granada and the beach at Huelva (from Seville). Reduced price Flamenco (Sevillanas) dancing lessons and horse-riding. Included in course fees: Free Salsa, Merengue and Cumbia dance classes at school, Costa Rican cookery classes, lectures on Costa Rican culture, history, society, film evenings, Latin music evenings. Optional extras: White-water rafting, beach trips, Sunset Island cruise, Arenal volcano trip, mountain rain forest excursion, Caribbean beach trip, mangrove riverboat trip, scuba diving, 'Sky-trek' in rain forest canopy, snorkelling, beach horseback riding, surf classes and more!